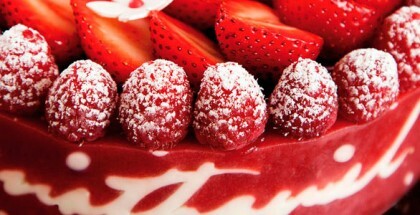 Yusuke Aoki started his career at the French Pastry boutique in his home country, Japan, where he acquired basic skills and techniques in French pastry style. 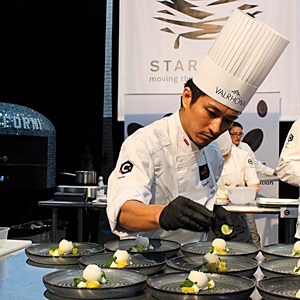 His expertise, which ranges from French pastries, wedding cakes, desserts for banquets and restaurants, chocolate bonbons, showpieces, and sugar decorations, allowed him to join the opening team at The Ritz-Carlton Tokyo and another international stint at The Ritz-Carlton Toronto. He later moved to Paris and worked at Patisseries & Gourmandise for Stéphane Glacier as International Pastry Chef, perfecting his skills with French trends and well-defined styles in pastry. At the Ritz-Carlton Doha as a pastry chef, he won several competitions, including the Semifinal of the Valrhona C3 Competition for the Middle East region. He is currently displaying his knowledge and technique in a new adventure at the Four Seasons Resort in Bali. 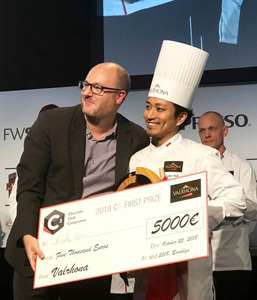 His last feat was to proclaim himself the winner of the C3 Valrhona 2018. 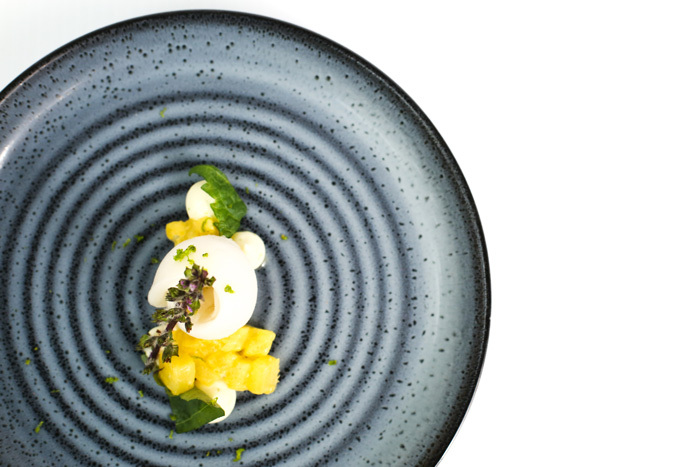 We share the pre-dessert recipe with which Yusuke convinced the jury of the competition. 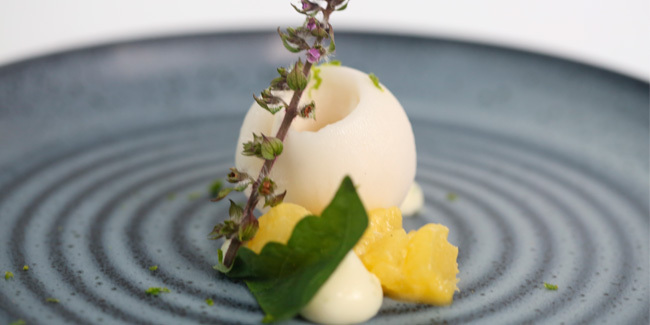 A pre-dessert inspired by the marriage of OPALYS 33% ‘s delicate and milky flavor with the unique and powerful fragrance of the Balinese kaffir lime and the Japanese Shiso leaf. This was one of the two plated creations that gave the victory to the Japanese chef settled in Thailand. Place the diced pineapple and the butter in a pot, saute the pineapple for 1 min. Add the rest of the ingredients, simmer for 2min. Remove from the heat, transfer to a container to cool. Warm the milk, kaffir lime zest nd the glucose in a pot, remove from the heat, add the softened gelatin. Pour over the chocolate, mix well with a hand blender to obtain nice emulsion. Add the whipping cream, kaffir lime juice, mix well. Transfer into a container, keep in chiller to crystalize. Using a round piping nozzle, pipe the Opalys kaffir lime namelaka on the plate. Place some pipeapple kaffir lime compote. Scoop the shiso plum wine sorbet in the middle, decorate with some shiso flower and the leaf, zest the kaffir lime zest onto the plate. 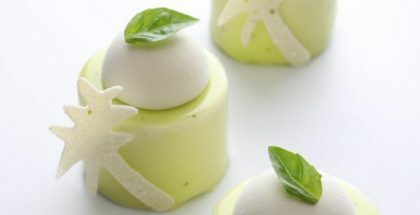 Using a spray bottle, spray the kaffir lime juice onto the dessert to enhance the the smell of kaffir lime. Marriage of white chocolate Opalys’ delicate and milky flavor with unique and powerful fragrance of Balinese kaffir lime, and Japanese shiso leaf.